As the three prominent senators each have sought to draw a sharp contrast with President Trump, who has faced his own misconduct allegations, the claims highlighted vulnerabilities that could become major liabilities not only in a heated Democrat Party primary, but also in the general election. Back in 2017, Gillibrand and others ramped up the pressure for then-Sen. Al Franken, D-Minn., to resign amid sexual misconduct allegations. He ultimately stepped down. 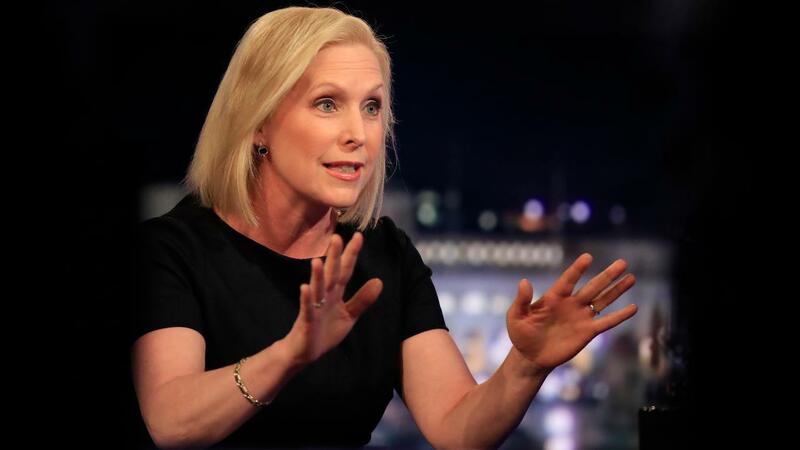 Gillibrand, who has been described by GQ Magazine as "the face of the MeToo movement," said at the time that Franken&apos;s alleged conduct had "shocked and disappointed her" and that he should "step aside" because "enough is enough." But, it emerged on Monday that last summer, an aide in her mid-20s who was working in Gillibrand’s Senate office also apparently decided that enough was enough, as she resigned in protest over the office’s handling of her sexual-harassment complaint against a senior male adviser to Gillibrand. “I have offered my resignation because of how poorly the investigation and post-investigation was handled,” the woman, who resigned less than three weeks after reporting the purported harassment, wrote to Gillibrand in a letter obtained by Politico. Gillibrand, responding to the allegations on Monday, said an appropriate investigation was launched -- and her office later said the male staffer had been fired after other unreported, "deeply disturbing" comments surfaced. The woman was granted anonymity because of fears of retaliation. Gillibrand faced immediate friendly fire after calling for Franken&apos;s resignation -- in 2018, liberal billionaire megadonor George Soros argued that Gillibrand turned on Franken to "improve her chances" in the 2020 presidential race -- and some of those hard feelings among her fellow progressives have not subsided. For Sanders, the Vermont Independent who caucuses with Democrats, looming resentment from establishment progressives also has posed a major challenge. A January report in The New York Times outlining what one former Sanders delegate called an "entire wave of rotten sexual harassment that seemingly was never dealt with" during his 2016 presidential run seemed only to bolster on-the-record claims from Democrats that Sanders was too impersonal and arrogant to lead the party. Asked by CNN anchor Anderson Cooper earlier this year whether he was unaware of the sexual harassment allegations, Sanders replied: "Uh, yes. I was a little bit busy running around the country, trying to make the case." He then appeared to smile. The next week, after reports surfaced that a top aide was accused of sexually assaulting a female subordinate during Sanders&apos; campaign, he issued a strong apology and a vow to change. "To the women in that campaign who were harassed or mistreated I apologize," Sanders said in a statement. "Our standards and safeguards were inadequate." Allegations of sexism also briefly surfaced contemporaneously during Sanders’ 2016 bid, as some of his young, white male supporters -- known as "Bernie Bros" -- attacked Hillary Clinton and her followers online, contributing to a hostile atmosphere between the campaigns. In her book, the election retrospective "What Happened," Clinton slammed Sanders for using “innuendo and impugning my character” such that she suffered “lasting damage" into the general election, although Clinton did not accuse Sanders of orchestrating the gender-based attacks. The back-and-forth has continued into 2019. Late last month, after former members of Clinton&apos;s team leaked details concerning Sanders&apos; expensive travel on behalf of the Clinton campaign after she secured the Democratic nomination, Sanders 2016 campaign spokesman Michael Briggs returned fire. "You can see why she’s one of the most disliked politicians in America," Briggs said, referring to Clinton. "She’s not nice. Her people are not nice." Briggs went on to call Clinton and her team among the "biggest a--holes in American politics." But, although Gillibrand and Sanders have made public overtures to the alleged victims who worked for them, California Democratic Sen. Kamala Harris acknowledged earlier this month that she still had not spoken to a woman who sued her former top adviser for sexual harassment, leading to a $400,000 settlement. A spokeswoman for Harris insisted last December the team was “unaware” of the harassment allegations while Harris was California’s attorney general, but the agency that she oversaw, California&apos;s Department of Justice, reportedly was informed about the complaint three months before she exited in early 2017. The lawsuit, filed by Danielle Hartley, accused Larry Wallace of demeaning her based on her gender while she worked for him as his assistant. Hartley said Wallace placed his computer printer under his desk and often asked her to crawl under and refill it with paper as he sat and watched, sometimes with other men in the room. "In this specific case, I have not talked to the victim," Harris told Univision. "That case is being handled by the Attorney General&apos;s Office and I&apos;ve left it up to that office to handle the case as they&apos;ve seen fit, which included a settlement." In an uncomfortable twist, Harris&apos; autobiography, “The Truths We Hold: An American Journey,” which was released in January, praised Wallace&apos;s "leadership" in orchestrating a bias training program. Wallace, the former director of the Division of Law Enforcement in California, resigned last December. 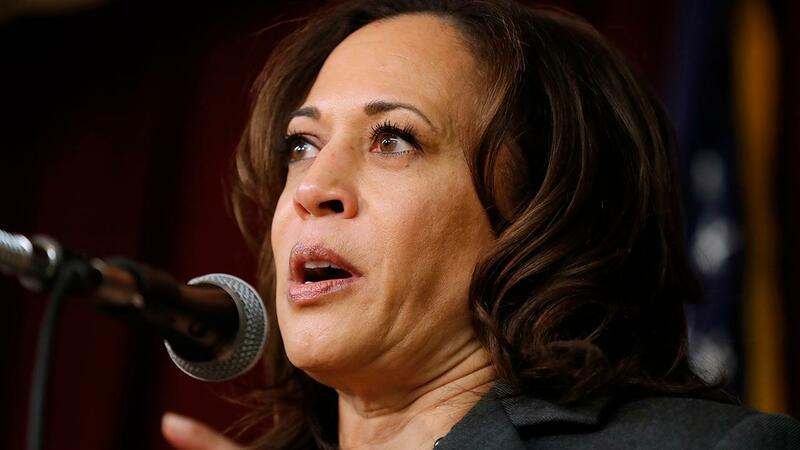 Republicans, meanwhile, have previewed a possible line of attack against Harris on the episode as primary season approaches. “No one is buying Kamala Harris’s claim she didn’t know her top aide of 14 yrs was accused of sexual harassment, resulting in a $400K settlement,” GOP Chairwoman Ronna McDaniel tweeted. Fox News&apos; Paul Steinhauser, Louis Casiano and Lukas Mikelionis contributed to this report.